This Modern master bedroom rethink keeps things simple, serene and yet five-star sumptuous - touches of classic detailing tie back to the vila. Recently we won the TIDA Architect-Designed New Home Award. Thanks to everyone involved in making this project a success. 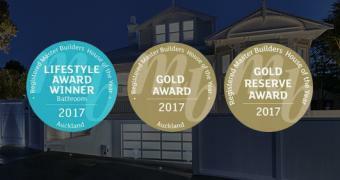 Like many New Zealanders who have grown up in an old villa or bungalow, boutique property developer Andy Blyth loves these older-style, character homes. There's plenty of life left in Grey Lynn's tired villas, but they do need a bit of work, and sometimes an extreme makeover is called for. That's what happened to this run-down transitional villa, which has just won the 2017 TIDA NZ Architect-designed Renovation award. Neatly aligned along some of the city’s most desirable streets, with their pristine white picket fences and proud double-bay frontages resplendent with ornate Victorian fretwork, trusses and finials, it’s easy to see why these once utilitarian abodes have become an object of desire for the upwardly mobile and young professional families.